Welcome, Is This Your First Visit? 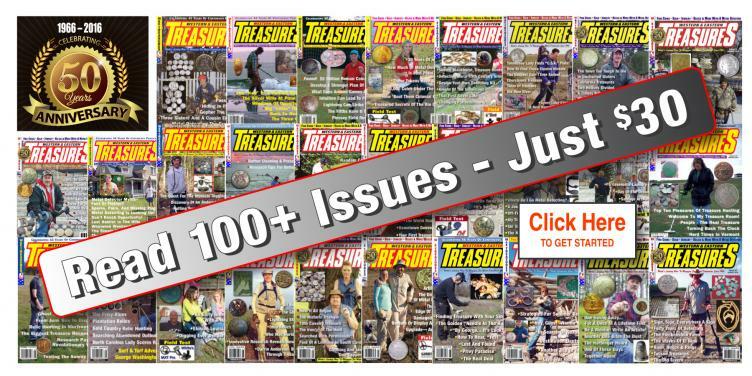 Welcome to Western & Eastern Treasures, for 53+ years the #1 publication in metal detecting and treasure hunting! Like you, we're always looking for adventure, excitement, and the kind of inside information and ideas that every savvy searcher needs to succeed. Each monthly issue is packed with stories of new discoveries and solid how-to tips & techniques from writers with real-world experience and the finds to prove it! 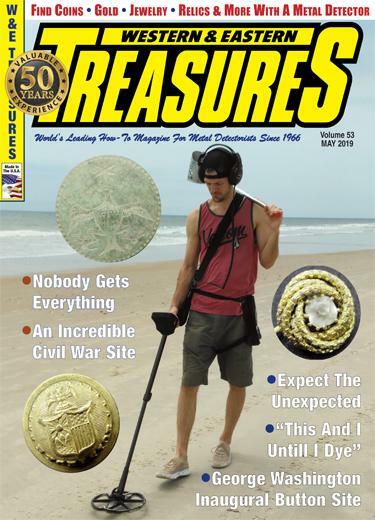 Whatever your favorite facets of the hobby may be— coinshooting, relic hunting, beachcombing, prospecting, ghost towning, cache hunting— we've got ’em all! Thank you for choosing Western & Eastern Treasures! ©1995-2019 People’s Publishing Company, Inc. All Rights Reserved.